The new Naga has something to boast with – the mouse offers the world’s most advanced mouse sensor ever. The so-called Razer 5G laser sensor offers tracking up to true 16 000 dpi down to 1 dpi increments, which is a major improvement over the industry’s standard of 50 dpi increments. In addition the new Naga effectively lacks interpolation, being at the same time optimized for multi-display setups with ultra-high display resolutions. The updated Naga keeps the well-known 12 concave mechanical thumb grid buttons that have been optimized specifically for MMO games and thus allows gamers to find the button they need and execute commands easier than ever. In addition to this the new Naga is a Chroma-enabled device that features 16.8-million customizable colors and a range of effects such as spectrum cycling, breathing, reactive and others, all made possible through Razer’s Synapse software. The new mouse comes with 1000 Hz ultrapolling and 1 ms of response time, zero-acoustic ultraslick mouse feet, tilt click scroll wheel and 7 feet (2.1 meters) of braided fiber cable and all this means that you are in for the best gaming sessions in your life. The new Naga measures 119 mm/4.68 in x 75 mm/2.95 in x 43 mm/1.69 in (L x W x H) and weighs 135 grams/0.3 pounds with the cable. It is now available online and will be in stores worldwide later this month. 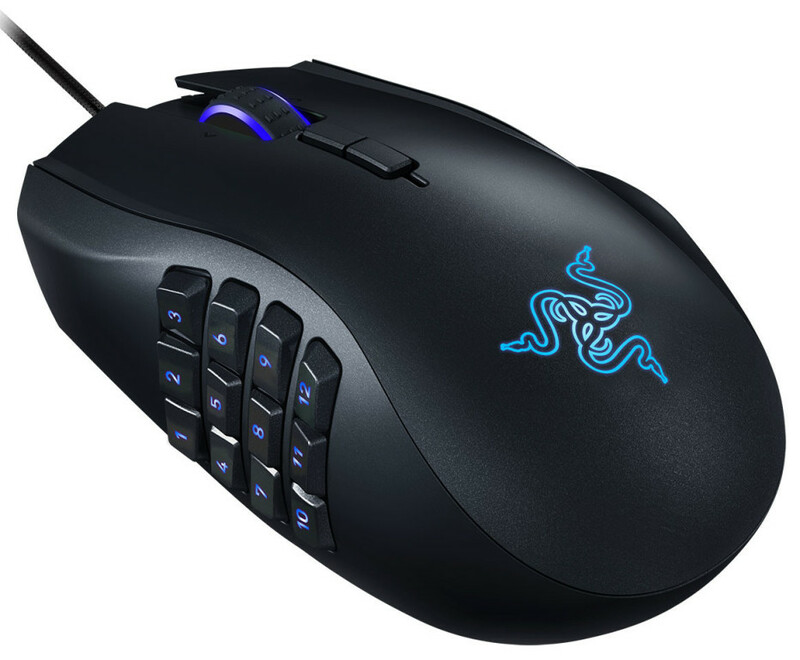 The new Razer Naga sells for USD 79.99.